Although it was very wet on Sunday, we still had close to 30 young participants for our first junior event of 2016 at Lake Alexander - a swim, run - which was able to go ahead between showers. A big thank you coordinator Melissa Lind and all the helpers including Rena Walker, Denise Dunn, Luke Hansen, Lucy Thompson and Tim Ellison as well as all the mums and dads who braved the torrential rain to bring their children down. The kids had a blast running around in the rain before they started and then having their warm up in the water as it was warmer in there than outside in the rain. Lots of fun! We head into the first of our Off Road Triathlons this weekend. The guys from Cycle Zone are busy working on the off road course and, as always, it's bound to be challenging but doable for all levels. So get your off road wheels sorted and we will see you all at the weekend. 1. You are almost certain to get muddy so leave the snowy whites at home for this one. 1. We heard the sad news this week of the passing of Barry Smart. Our sympathy to Barry's family and friends. 2. Many of you will have heard about Clare Labowitch's scare getting sweep away in Rapid Creek. We are so relieved that Clare is OK and heading off this weekend for some running events. 3. Clare's recent experience is a timely warning to stay out of pipes & drains and waterways particularly during and following storms - always! 4. We have Phil Blumberg, Sarah Collins, Corinne Fabian, Luke Fronsko, Nick Hubbard, Marcus Lisle, Heath Porter & Rachel McLean among those on the start list for Ironman 70.3 Geelong this weekend. Good luck! 5. Two new Ironman 70.3's announced for China. Hefei (16 Oct 16) and Xiamen (13 Nov 16). There are Kona 2017 slots up for grabs but read the fine print on those. 6. No dates yet for Western Sydney or Mandurah 70.3s. Maybe on the way out?? Watch this space. 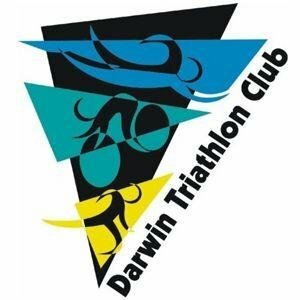 "I want to say thank you to you and the club for the awesome events the club put on and the great camaraderie the Darwin athletes have. Its been a wonderful couple of years for us both up here and we'll have to keep an eye out at future events for Darwin athletes." 9. Those Triathlon NT beginners sessions start this weekend. Do pass on the info to anyone you think may be interested. 10. Feeling adventurous? Sungailiat Triathlon (23 Apr 16) offers half, Olympic & sprint distances. 11. Also surrendering his timing chip this week - Bernie Wilson, heading off to the wilds of South America. 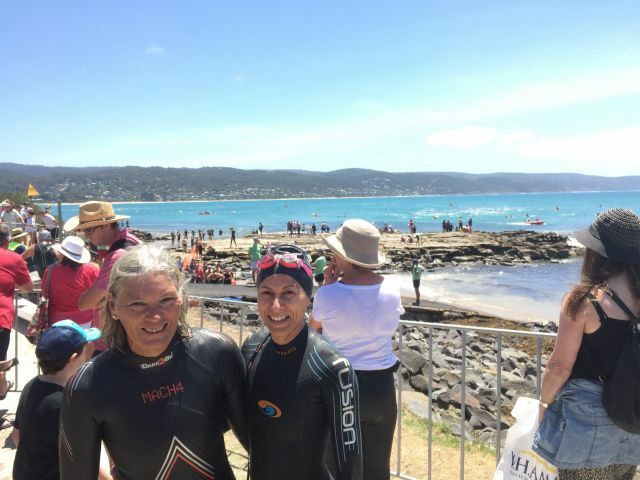 This one from the recent Lorne swim. Imagine having ocean you can swim in!